This February 33.2 inches of snow fell in Kalispell, making it the snowiest February on record. Daytime temperatures hovered in the low single digits and the wind chill plummeted well below zero on several occasions. 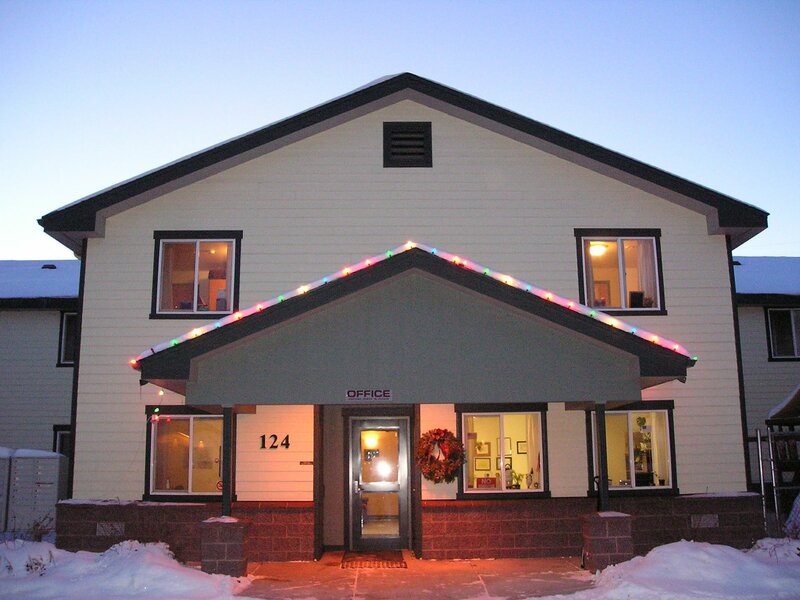 And while winter weather in the Flathead might fluctuate between nasty and brutal, our needs at Samaritan House remain consistent. Here are some items we can always use. Temporary beds like the one pictured above. We at Samaritan house feel that bunk beds offer less dignity and respect but are in need of adding more beds. ($129 at WalMart.) This will give us more ability to flex as demands rise in the colder months. Donations of warm socks, and boots. Our residents might begin and end their days in the shelter, but they also spend a great portion of their time outside the shelter pursuing employment opportunities as well as going to jobs they have. Many of them walk or rely on public transportation so warm gear is a lifesaver. Toilet paper and bathroom supplies are also coveted and appreciated. These items are easy to take for granted when they are always on hand, but imagine what it would be like if you need them but don't have them. Personal hygiene is essential to fostering feelings of self confidence and if these items are donated, we are able to use our resources for other things we need. Cleanliness is an important (as well as state-mandated!) virtue for us so we also really appreciate cleaning supplies. We want to do our best to provide a clean environment for our residents, staff, volunteers, and guests. Spending a great deal of our time in community necessitates keeping things clean and sanitary to reduce the risk of sickness. All of these items are appreciated because we use them often. Thanks for all that you do to make Samaritan House a place that meets the needs of its residents on a daily basis. Treating people with dignity and respect are important to us and you help us do that. If you have any questions, please call our office. Where were you 12 years ago? It's an interesting question because we tend to focus on the present and the future, but sometimes the past gets little fanfare. And, "Why 12 years? ", you might ask? 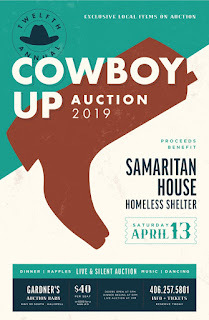 Because in a few weeks it will be the 12th annual Cowboy Up Benefit for Samaritan House. We have been hosting this fundraiser as long as it takes a child to go from Kindergarten to Graduation. And it's been quite a journey for us, as well. We are honored to host this Auction and the longevity of this event shows its importance. This year's event will be held at Gardner's Auction, which provides an ideal venue for all we have to offer. Single tickets can be purchased for only $40 or a table for 8 can be reserved for $300. Doors open at 5 pm and an incredible dinner will be served at 6 pm. Use this opportunity to catch up with friends while having a wonderful time and donating to an important cause. Because that's what this is really about- there is a point to be made and lives to be changed. There are a thousand different things you can spend or invest your hard-earned money on but none might count so much as this Auction in regards to saving lives. Yes, there will be phenomenal music by Smart Alex. You will have a great time and enjoy yourself dancing the night away. And the auction items are worth the experience by themselves, with a wide variety sure to tickle anyone's fancy- there will e something for everyone. But the entire night is a reminder that homelessness in the Flathead Valley is a real issue. We gather to raise money and resources so we can provide opportunities to change lives. This will be an epic night with so many wonderful moving parts aimed at a singular goal: Addressing homelessness in our community so that our community will be strengthened. You can play a part in this and we hope to see you there! Please call our office if you have any questions regarding the auction or this night. Homelessness presents unique challenges and obstacles for daily life. Homelessness in Montana, in the winter, can be deadly, which is why Samaritan House has its own Cold Weather Contingency Plans aimed at saving lives. We will find a place for you. Director Chris Krager adamantly states that, "The nature of homelessness in Montana is such that at certain times of the year it can be fatal." 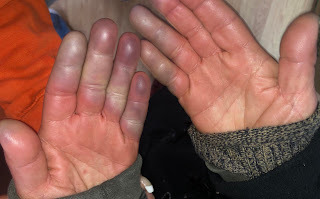 If you have lived through a few winters in the Flathead Valley, you know the potential brutality firsthand. This past week windchill dropped well below zero, reaching nearly -25, depending on where you lived. This could be a death sentence for someone living in a tent or other structures not suitable for intended dwelling. These are not just words on a screen as we learned this week, see the photo above. 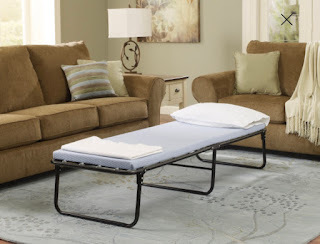 Samaritan House is equipped with mobile beds and we are putting them to good use. Any safe place in our shelter has been turned into a makeshift sleeping unit because we recognize this is an extremely important issue. Living outside, in the exposed elements, is difficult in the best conditions so when homelessness is exacerbated with frigid wind, snow, and ice, we need to get involved. Heart failure, hypothermia, and frostbite are all real possibilities. Thanks for all you do because your financial support and donating resources allowing us to do our best to take care of those who need a place to shelter from the weather. Winters in Montana can be quite inhospitable and sometimes resources are hard to come by. 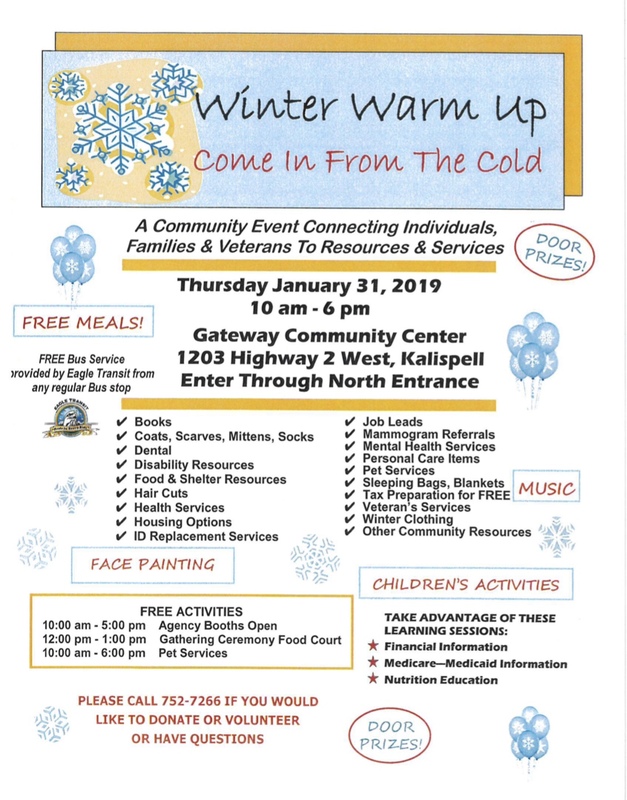 Winter Warm Up, a Project Homeless Connect event, offers a multitude of opportunities for the community to unite together and provide all sorts of services for anyone who needs them. Over the years, thousands of individuals, families, and Veterans have received everything from free tax services and clothing to pet care. There is a wealth of resources available and volunteers to help you navigate through the process. Medical and cosmetic services along with great resources to assist with employment opportunities are just some of the incredible things you will find. 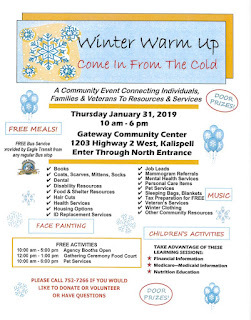 There will be free food and live music and treats for the kids, so please take advantage of Winter Warm Up Winter Warm Upbecause once it's over, it won't be back for another year!